Great news! All 6 of our new Outlander-inspired patterns have been added to both our online store and Ravelry pattern store for individual PDF purchase. 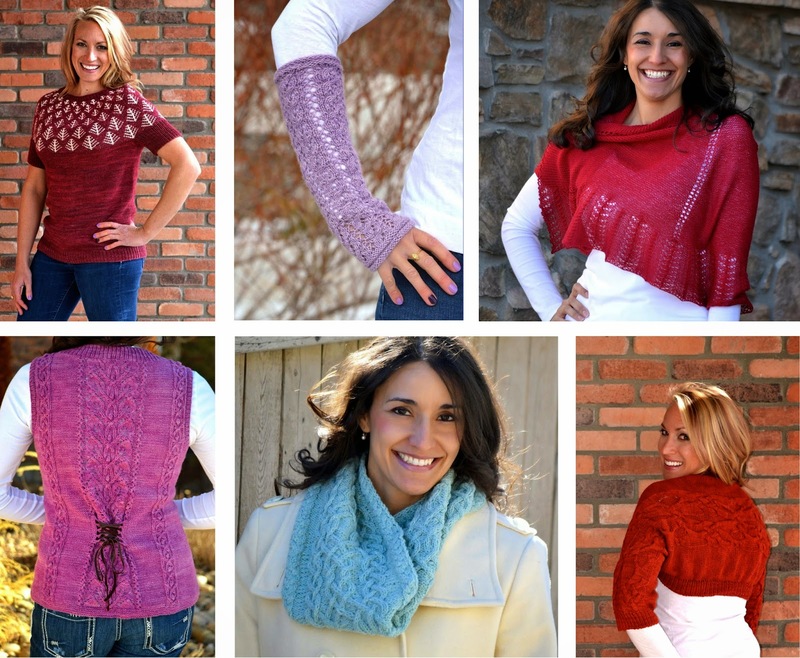 Clockwise from top left: Celtic Forest Pullover by Therese Chynoweth, Beauchamp Gloves by Christine Marie Chen, Blood of my Blood Shawl by Marly Bird, Time Traveler Vest by Therese Chynoweth, Glenna's Cowl by Marly Bird, and Inverness Shrug by Stefanie Goodwin-Ritter. Of course, we still have discounted project kits available for all of our Outlandish collection patterns, found here in our online store for your convenience. On a more serious note, we are currently raising funds to help victims of the recent earthquake in Nepal. Bijou Basin Ranch has a working relationship with many yak ranchers in Nepal (as well as Tibet), and we feel it is our duty to help those affected by this disaster however we can. All net profits from the purchase of these select products will be given to AmeriCares, an agency who is providing medical treatment and support to survivors in the area. Click here for more information on our website; we hope you will share this with a friend and consider making a purchase to help us support the Nepalese in their time of need.